The Rebel Sweetheart. 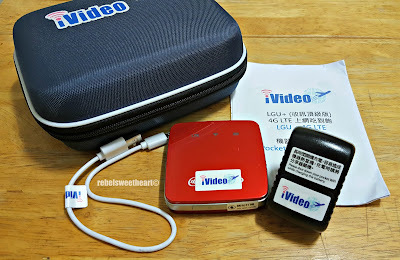 : Seoul Searching Made Easy with iVideo Pocket Wifi! Seoul Searching Made Easy with iVideo Pocket Wifi! 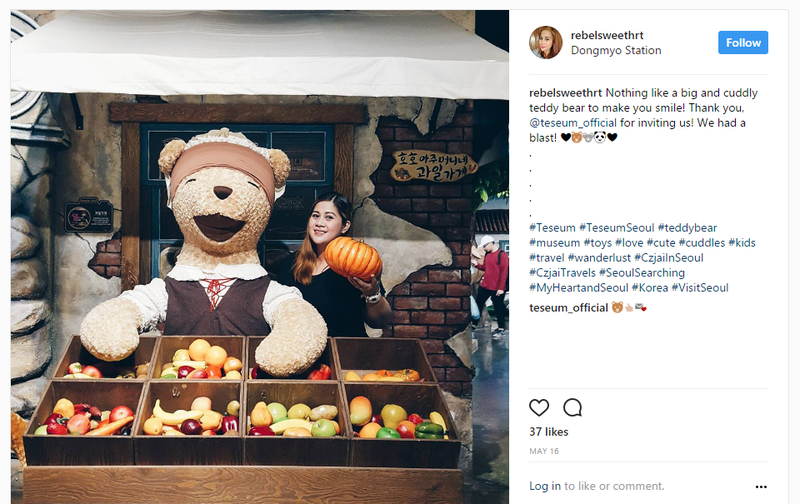 It's been three days since we returned home from our (almost) month-long trip to South Korea, and as always, I have tons of Seoul Searching stories to tell. 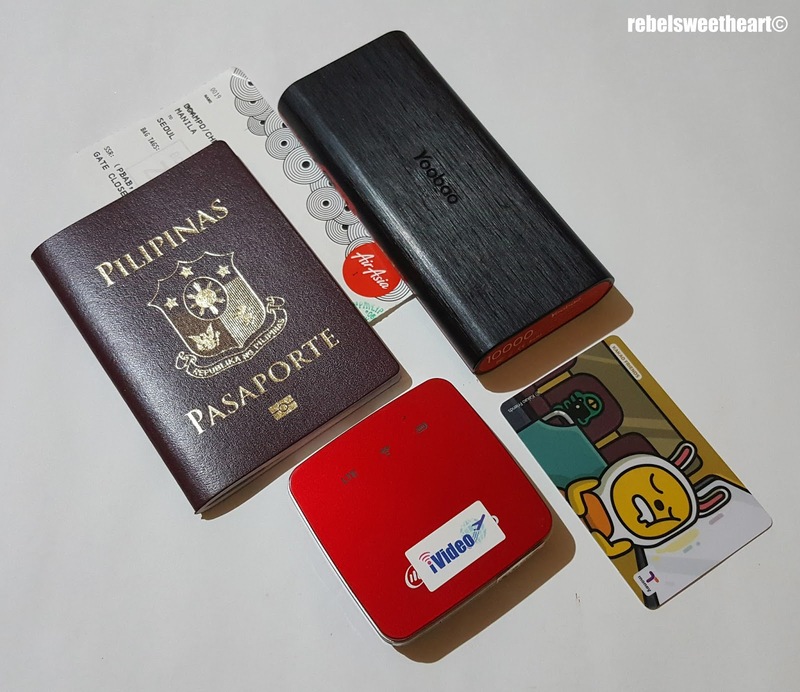 But before I ramble about all the fun, historical, and whimsical places that we've been to in Seoul, as well as all the restaurants and food stalls that we tried, and all the makeup and skincare products that I bought, let me first tell you about this pocket wifi service that made my traveling a lot more convenient and twice the fun! 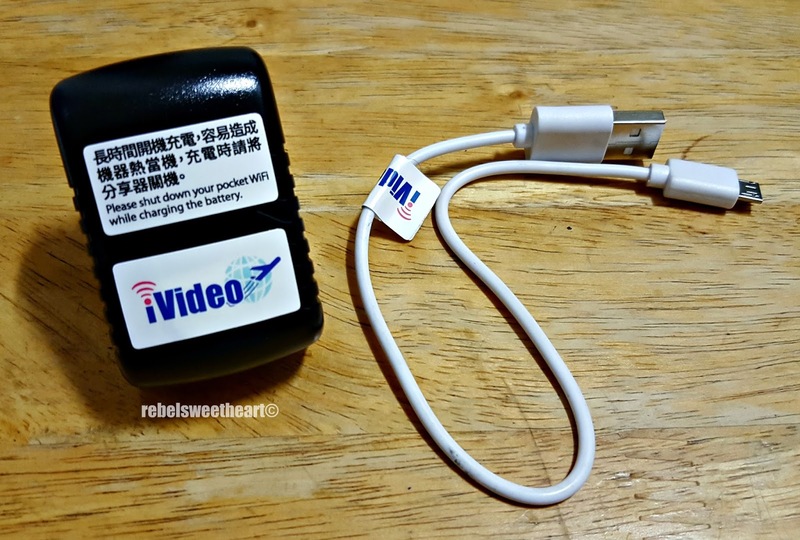 A few weeks prior our trip, I discovered iVideo, a Taiwanese company that specializes in providing low-cost wireless internet access rental services to tourists and travelers in many destinations across the globe. My initial thought was "OMG! I can finally play Pokemon Go in Korea!" I was psyched! And with that, Peggy (from iVideo's Marketing team) and I came to an agreement - they'll provide me with wireless internet access while in South Korea in exchange for an honest review of their service. I then made arrangements with the Customer Service team as to when and where the pocket wifi will be sent. 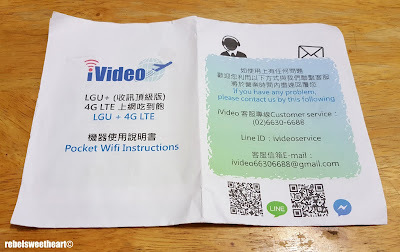 I had the parcel addressed to my friend Bongsun's house (she lives right around the corner from our place), with its estimated date of arrival around the third week of May. 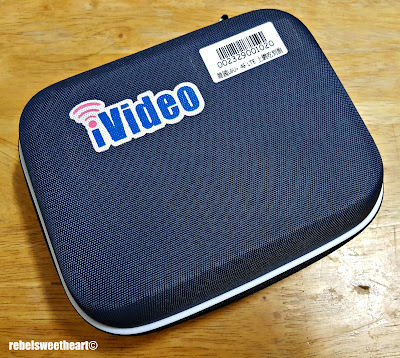 The parcel from iVideo - unboxed. The parcel was delivered safe and sound (thanks to Korea's reliable postal service) to Bongsun unni's house on May 19th - still within the schedule. Inside the parcel was a hard case pouch which contained the following: an instruction leaflet, a USB cable, a charger, and the iVideo pocket wifi device, fully charged and ready to use. 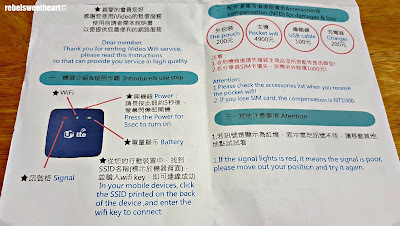 The device need not be set-up or installed. 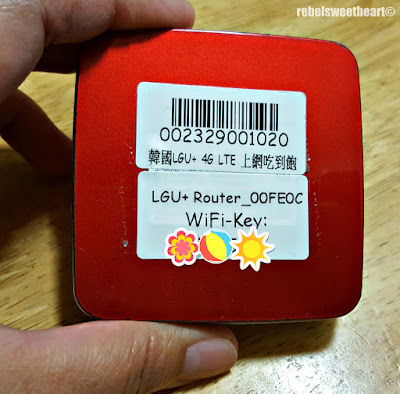 You simply turn it on, wait for your smartphone to detect it, then connect to the network by entering the password indicated on the device. This particular device connects to the LG U+ network, a cellular carrier owned by the LG Corporation of South Korea, and one of the more popular LTE networks in the country. 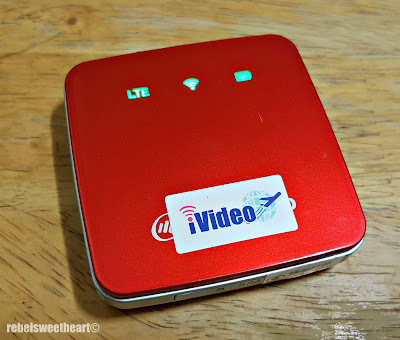 It provides unlimited data with 4G connectivity, and I had no issues with the speed even if all three of our smartphones (mine, my husband's, and Yue's) were connected to the pocket wifi. In fact, this device can support up to ten wifi-enabled mobile devices. Red signal lights indicate poor connection + battery needs to be charged. As per instructions, red signal lights indicate that the signal is poor. I usually get this whenever we're on the subway, but that's normal. For the most part, this device gets a pretty strong signal, which helped me a lot whenever we're out and about in Seoul. Green signal lights = all good! 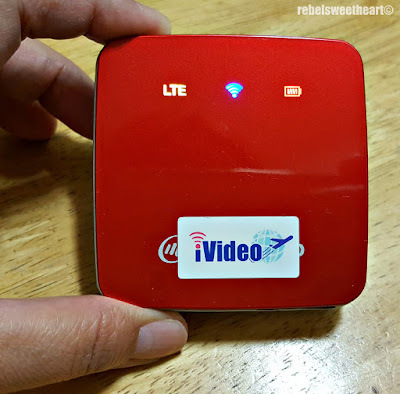 This pocket wifi has good battery life, too. 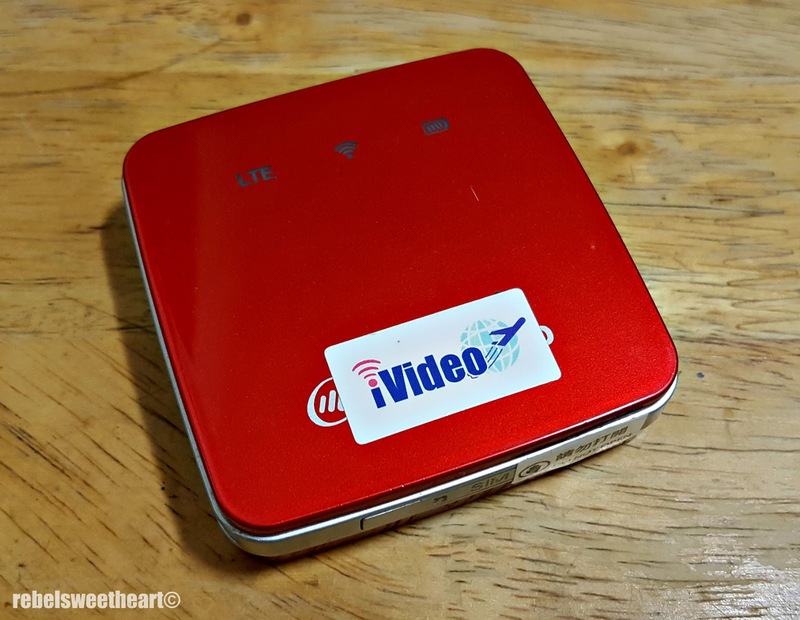 I was able to use mine for at least ten hours, and thankfully, it never died on me while I was on the road. Charging time is about four hours - a bit long, though charging my power bank takes longer. At the Teseum Teddy Bear Theme Park. 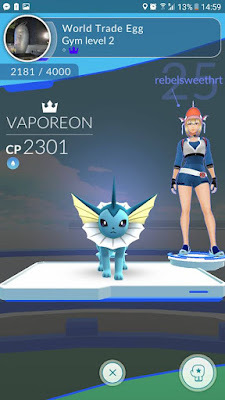 - catch as many rare Pokemons as possible (at least the ones that have not appeared here in the Philippines) and get as many items from the Pokestops along the way! World Trade Egg Gym in Lotte World Mall (Jamsil, Seoul). I had no trouble returning the device either. All I had to do was visit the nearest FedEx branch, hand the return packaging to the staff, and that's it! iVideo Pocket Wifi rate for Korea. 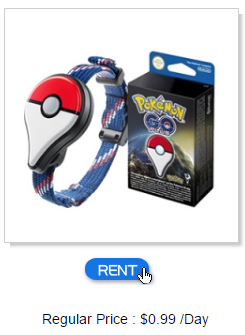 You can rent a Pokemon Go Plus device, too! Visit the iVideo website to view their rates and all the countries that they cover. Love this! 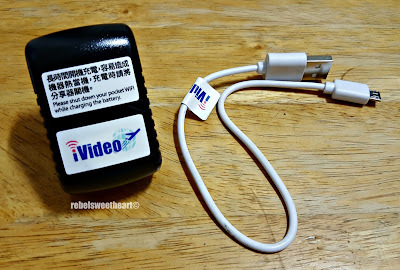 Bakit kasi di pa gaanong uso ang Pocket Wifi when we were traveling abroad. This is really helpful not just for Pokemon Go but for looking for directions as well. Super helpful! I'm always the designated taga hanap ng direksyon, restaurant, hotel etc. Plus i love staying online when we travel. This makes travels easy. Sana nalaman ko 'to when we went abroad last year. This is very helpful especially if you are not that familiar with the country you're visiting. I'll keep this in mind when we have an extra budget to travel abroad again. That looks super-handy! Definitely keeping this in mind for our next overseas trip! 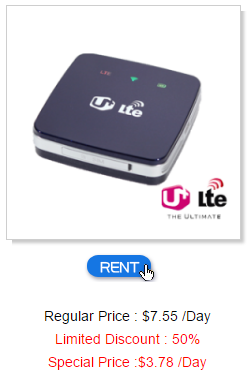 I haven't tried renting pocket wifi. If I really need to connect abroad, nagroaming ako though expensive siya per day. Pag hindi ko naman need, naghihintay na lang ko makarating sa hotel. But maybe I will try this if ever we will go out of the country.